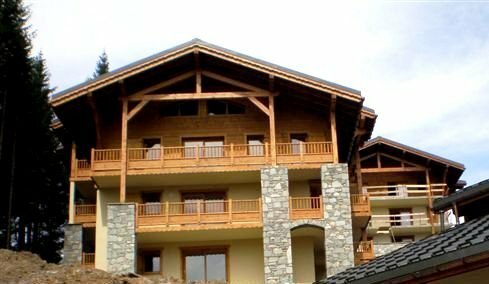 If you dream about holidays in a cosy place in the Alps, don’t look further: discover « le chalet des ousons » (the bear cubs’ chalet): Next to the skiing slopes, you can rent a brand-new apartment (or even 2) available in the « chalets des oursons » with access to a garage and an indoor swimming pool. The chalet is situated in a village, 80km south of Geneva. It is easy to reach (25km from motorway) and many activities are available…Enjoy your holidays! NEAR THE CHALET: Small supermarket, regional products shop, souvenirs, restaurants, ski renting in the village of Le Cernix. More shops and a day-care centre for your children at Crest-Voland (3 km away). At « Les Saisies » (10 km away by car, 8km by ski): cheese dairy (beaufort and reblochon are 2 famous cheeses of this region), chocolate factory…More details on the « activities and shops » page. 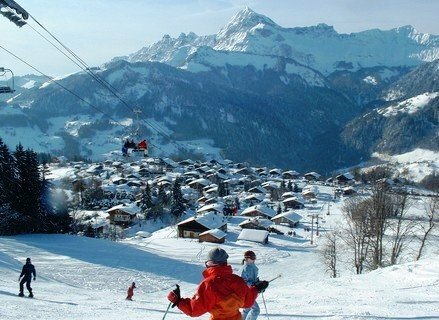 -Snow shoe walk, sledge, forest adventure park, paragliding, kart on ice, snowmobile…. Numerous sports activities: walking and hiking, of course, but also tennis, swimming, fishing, archery, mini golf or mountain bike, climbing, rafting, canyoning…. Discover villages and musea in the neighbourhood like the eco-museum of Cohennoz and enjoy markets with regional products. Do not to hesitate to ask for additional information! 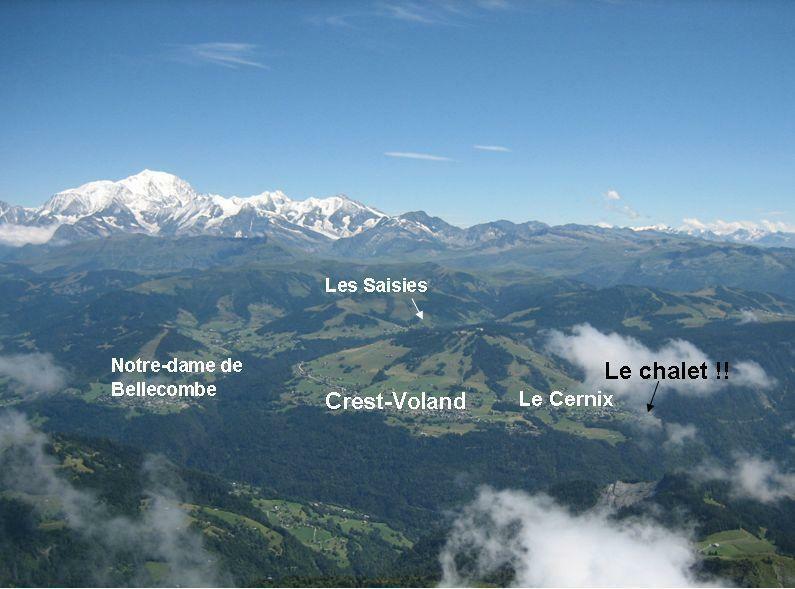 Summer is the Alpes: for cheaper and less crowded holidays !